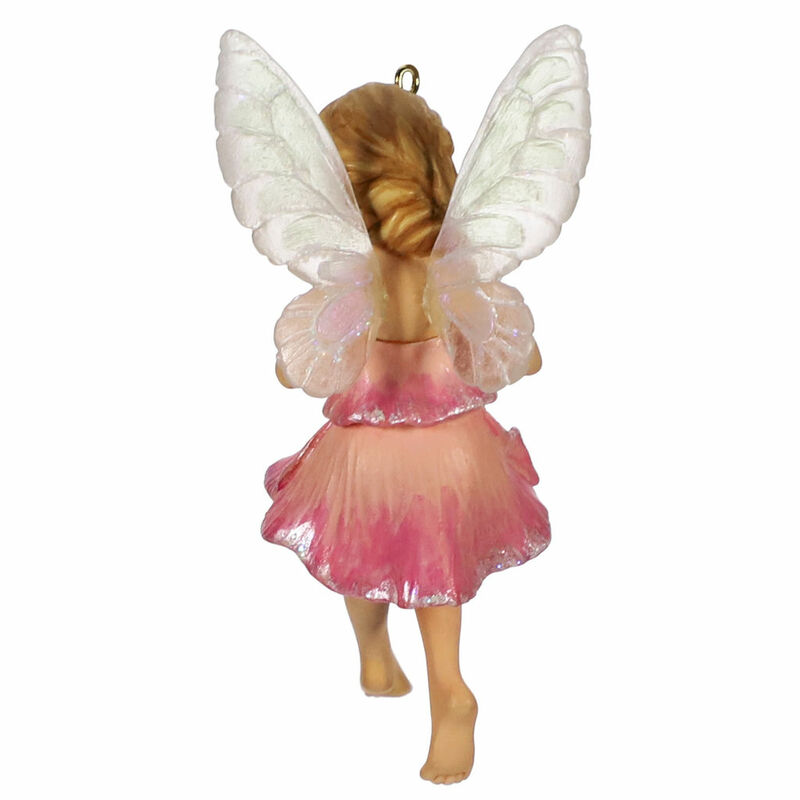 Add this Christmas tree ornament to your Fairy Messengers collection and make your holidays a little bit sweeter. The precious Sweet Pea Fairy holds an adorable pose dressed in her shimmery pink flower petal dress with iridescent wings. 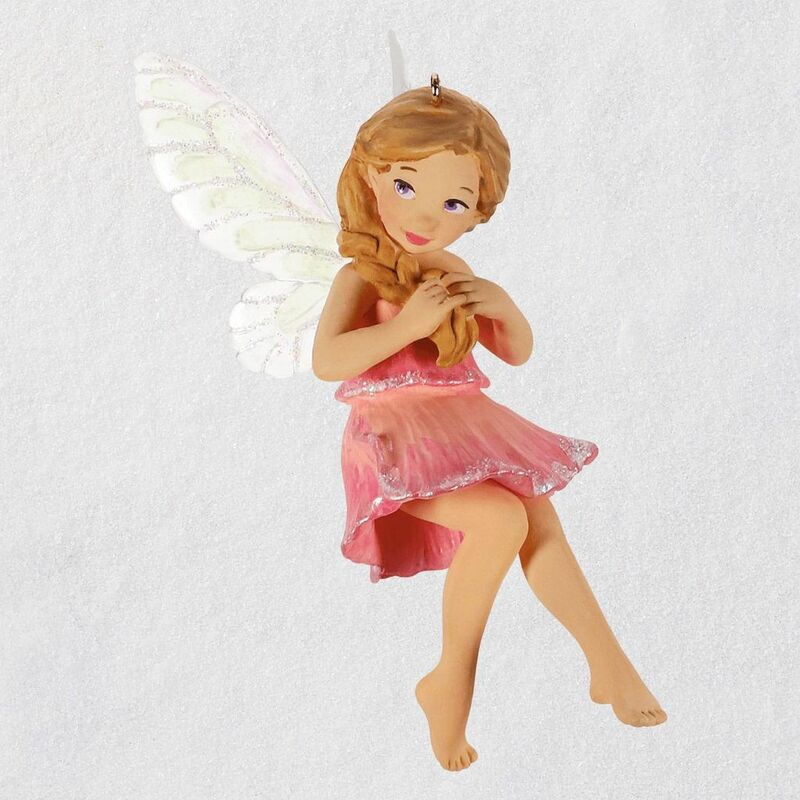 This pretty pixie adds an enchanting touch to your tree. Christmas tree ornament is 15th in the Fairy Messengers collector's series. Artist crafted by Kristina Gaughran, this Christmas tree ornament comes pre-packaged in a box for easy gift giving, preservation and storage. Dated 2019 in copyright. Plastic Christmas tree ornament is lead-free and measures 2.28" W x 3.43" H x 2.18" D.